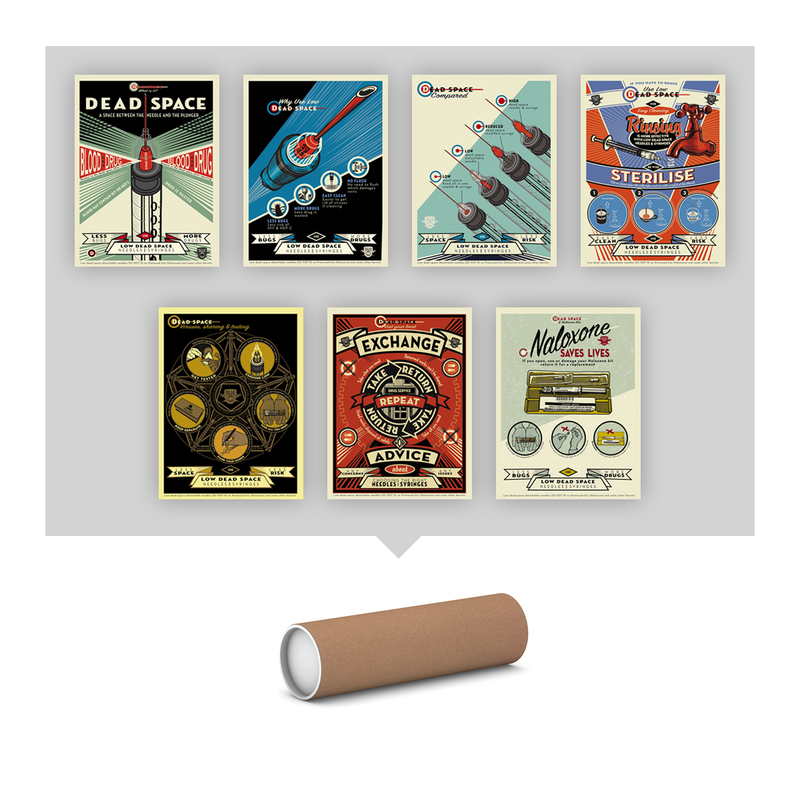 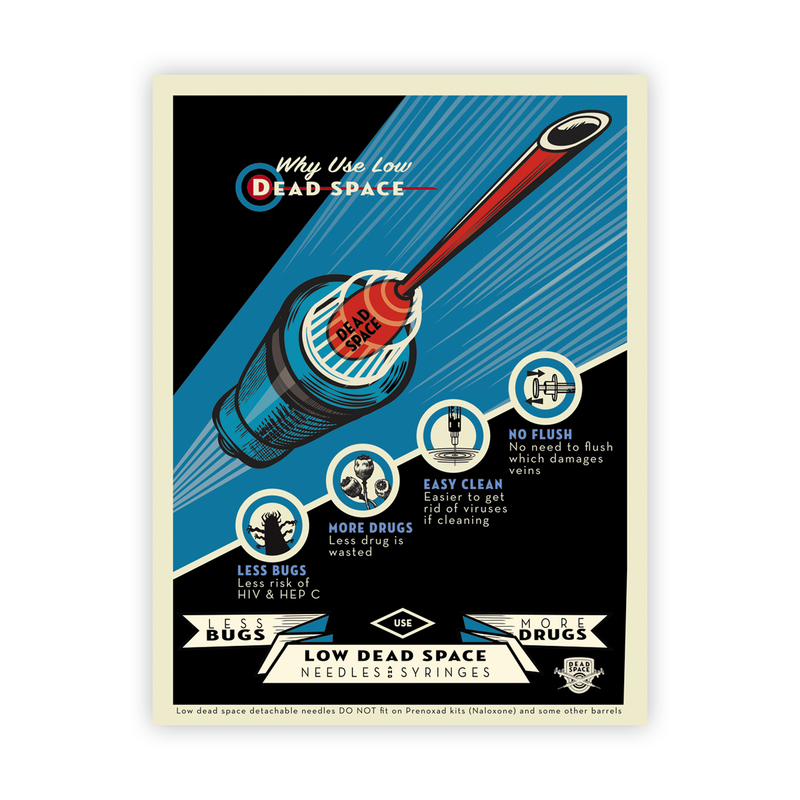 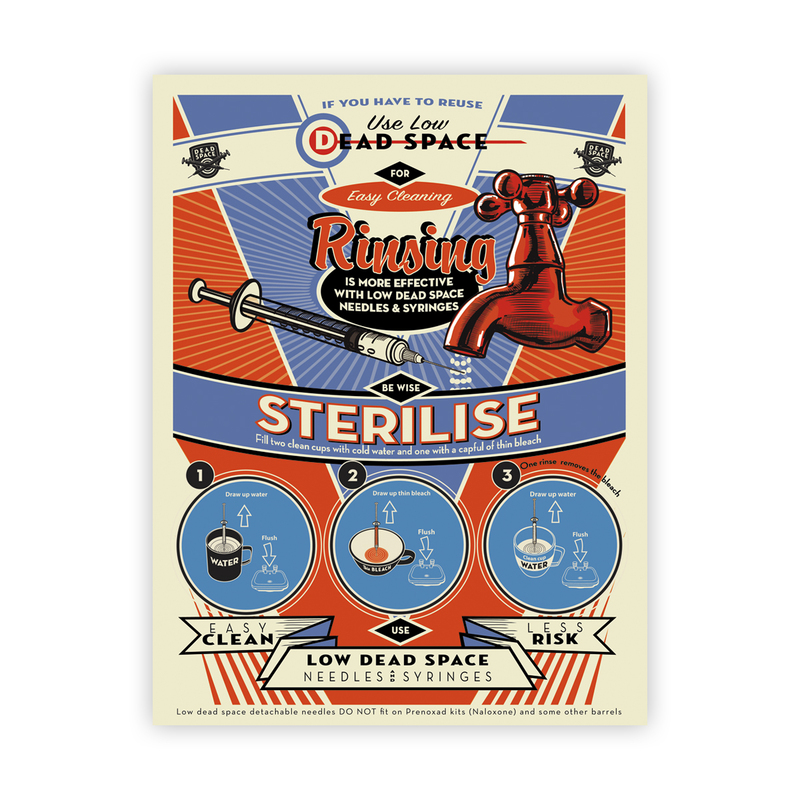 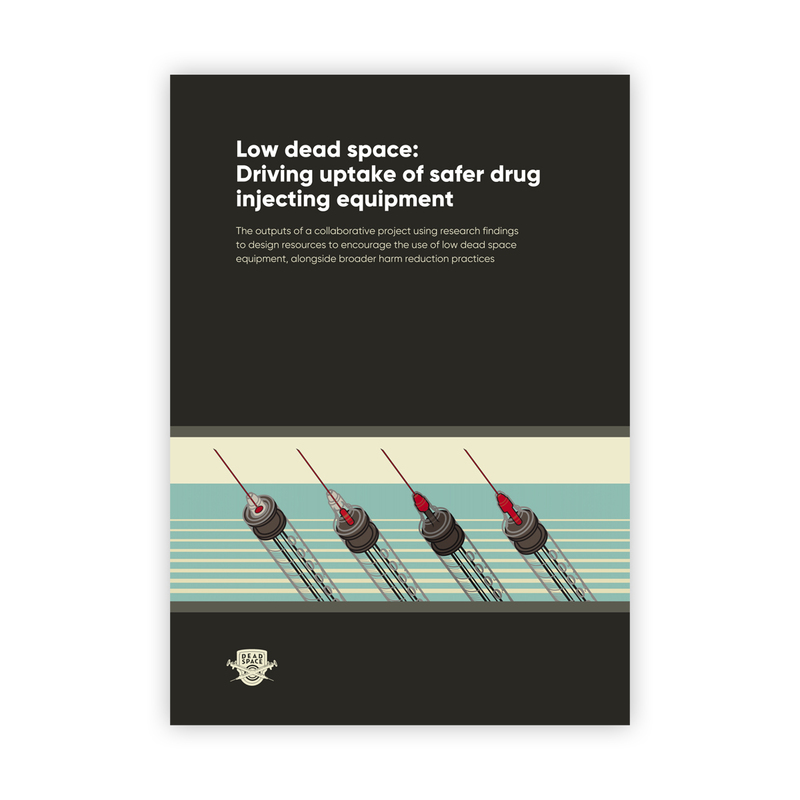 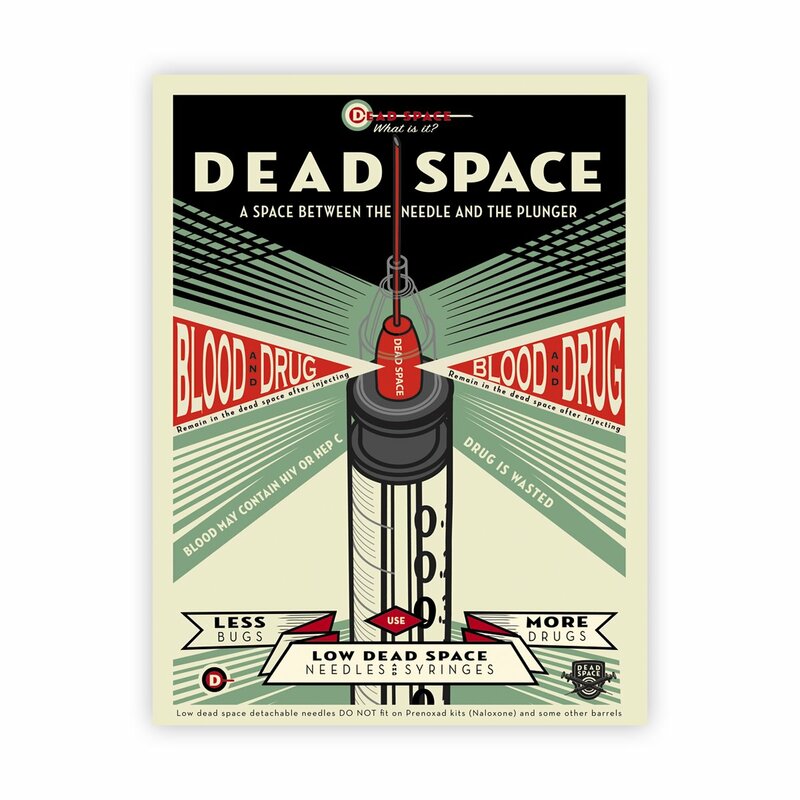 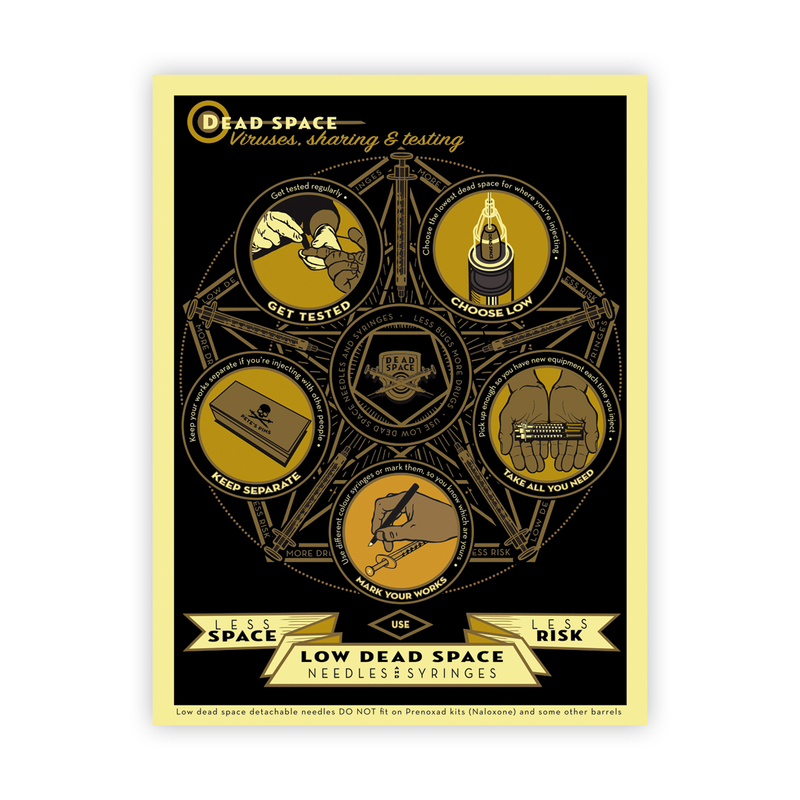 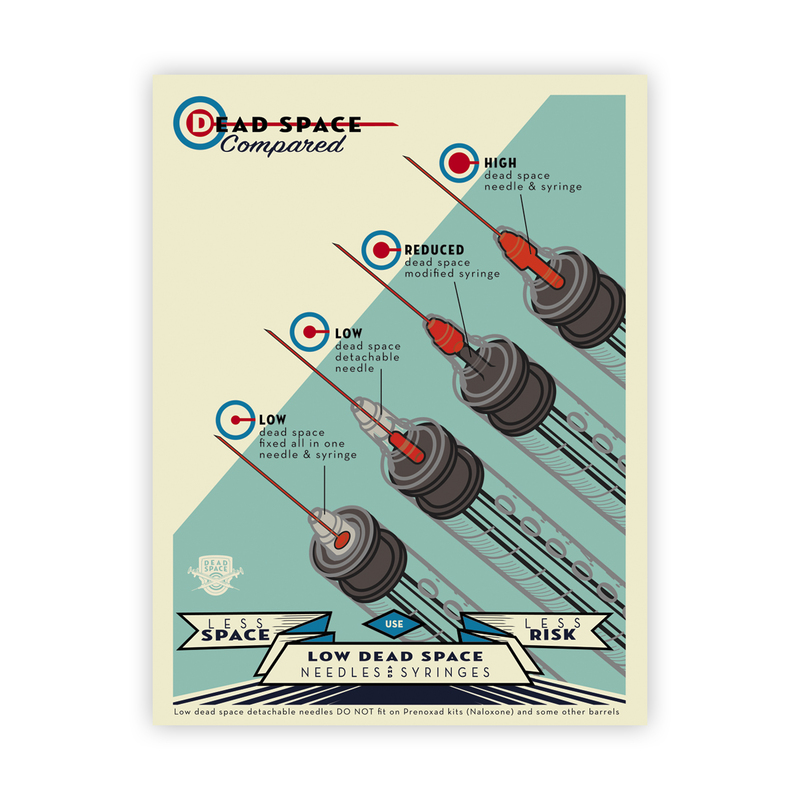 Attractive poster explaining what syringe dead space is, and promoting the use of low dead space equipment with the 'less bugs, more drugs' message. 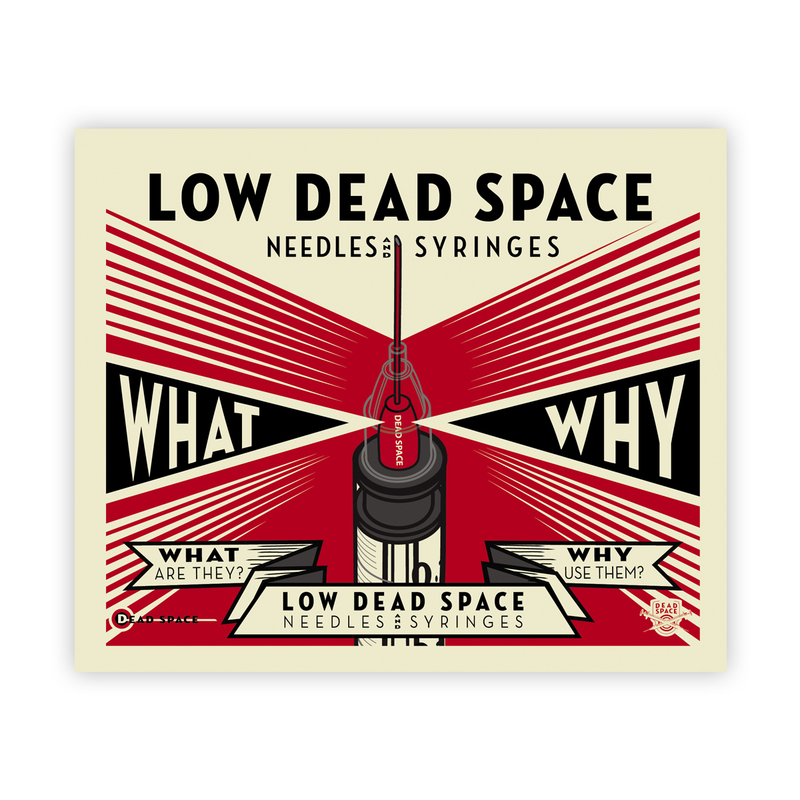 Includes a reminder that low dead space needles can't be used with Prenoxad kits, which can be an issue if people use the Prenoxad blue needle for injecting. 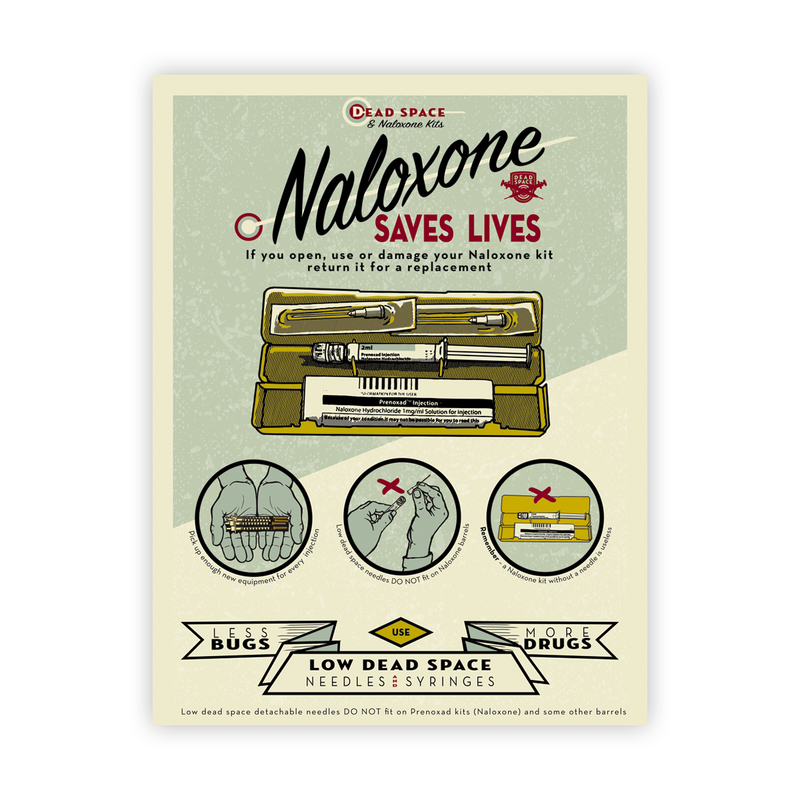 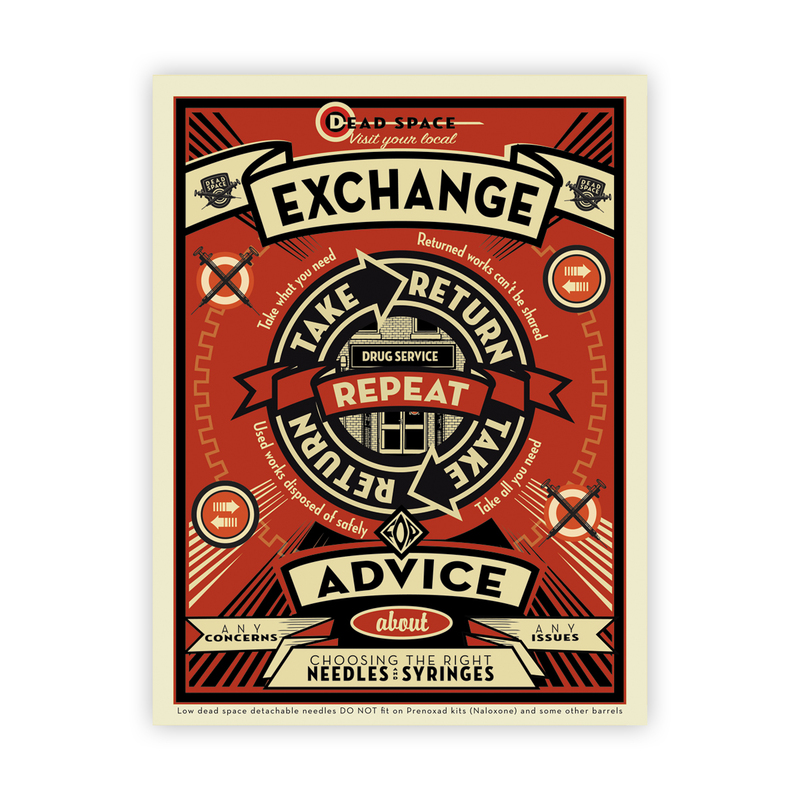 The poster is designed to act as a reminder in the NSP for people to collect a replacement kit or needle if they have used the needle.